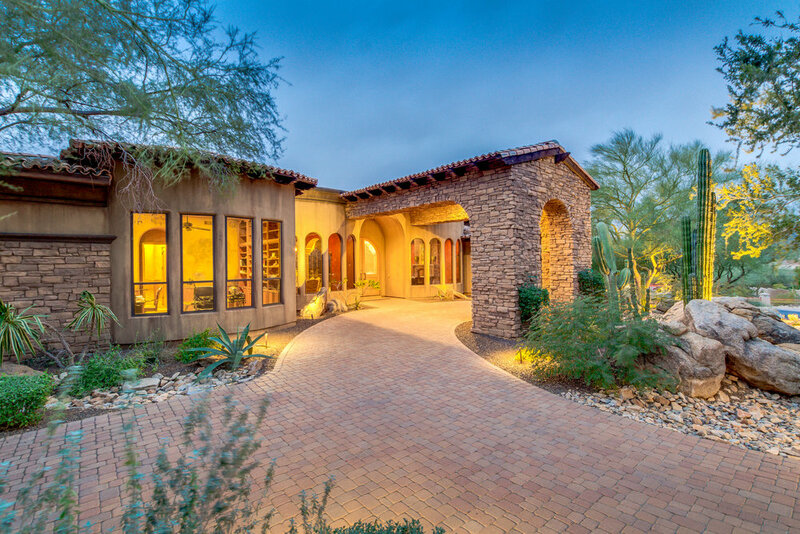 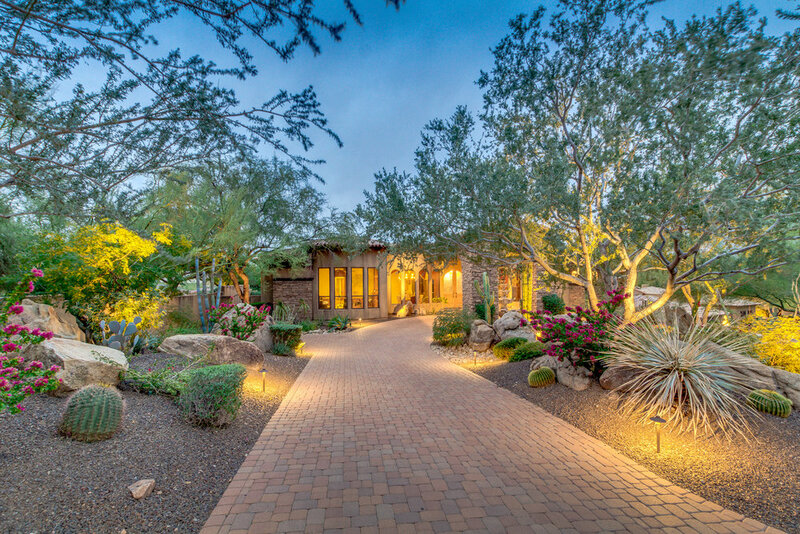 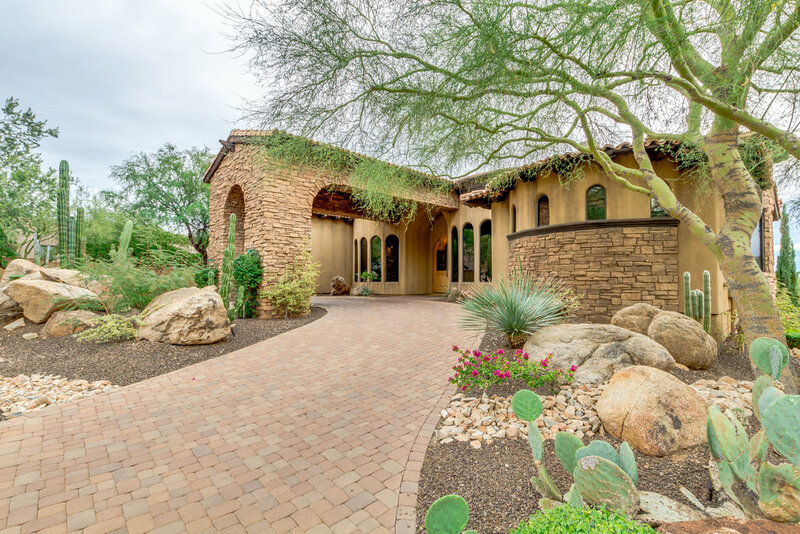 Exquisite Guard Gated Ancala Estate perched high above the valley with incredible south facing panoramic views of Camelback Mountain, city lights, and sunsets! 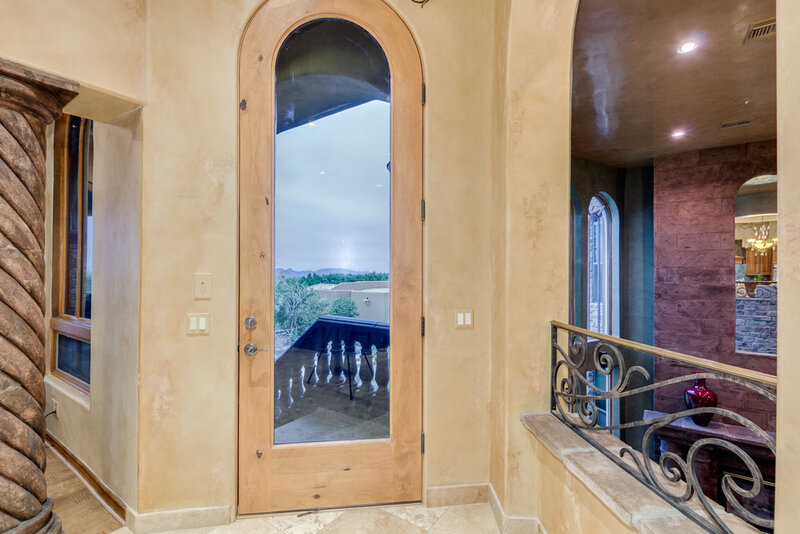 Dramatic Porte Cochere entry with circular drive welcomes you to this exquisite entry! 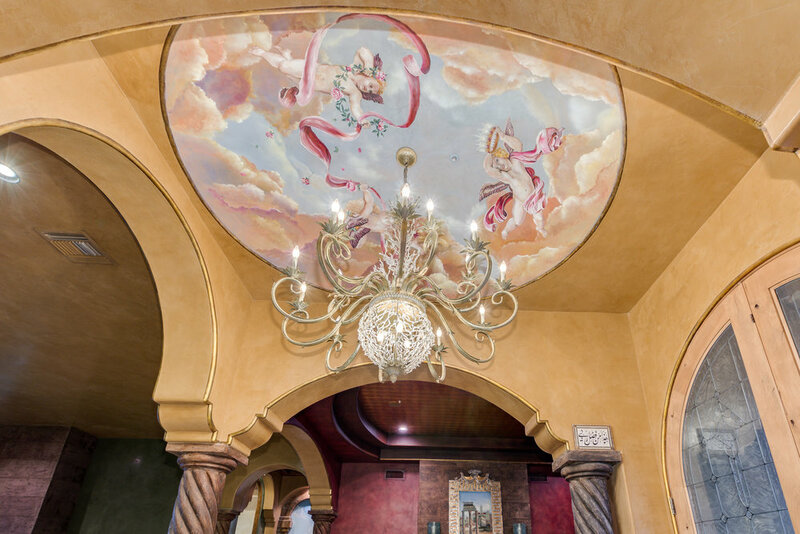 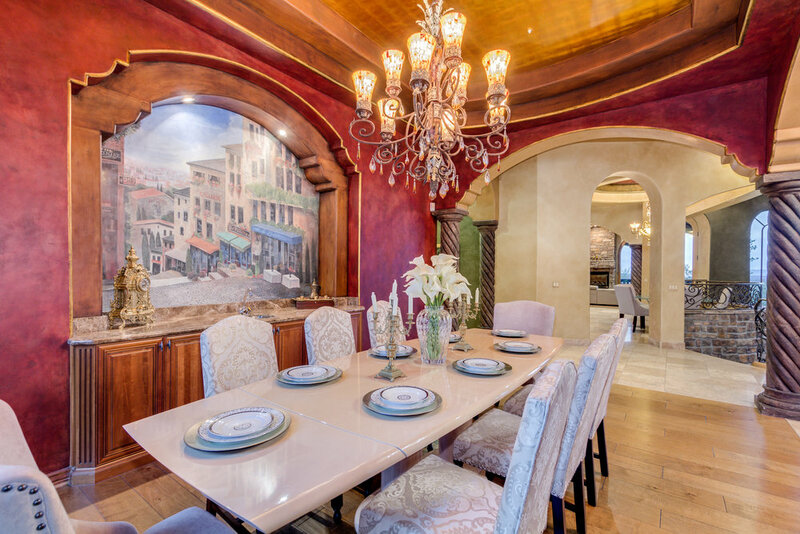 Uniquely finished with gold foiled hand painted ceilings, murals, and walls. 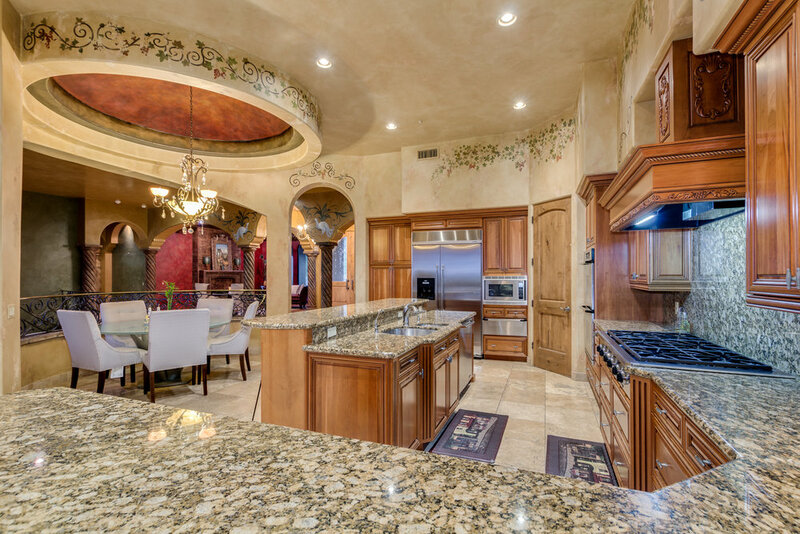 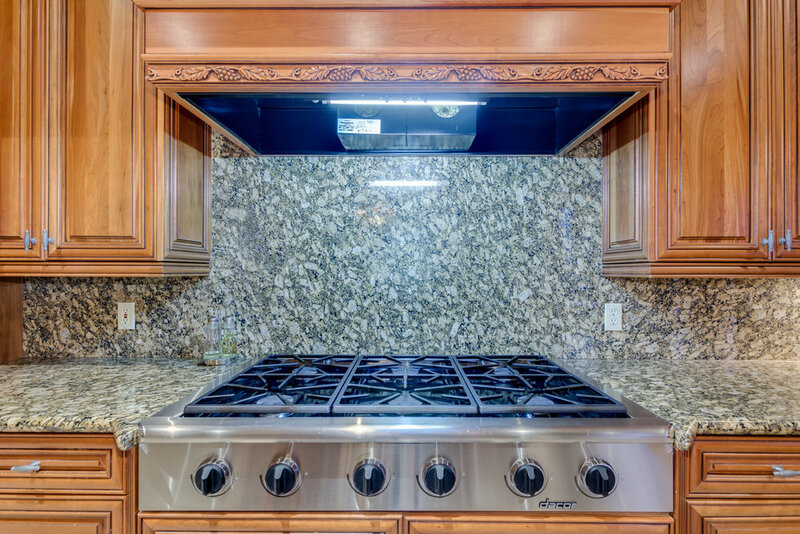 Beautiful stonework, chandeliers imported from Italy, and brand new hard wood floors. 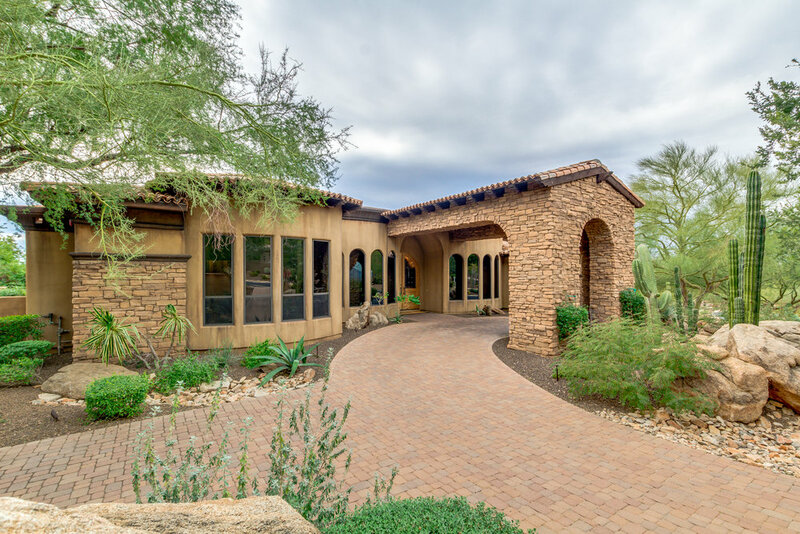 Enjoy the upper level deck with access to the resort style backyard featuring a heated pool, spa, and putting green! 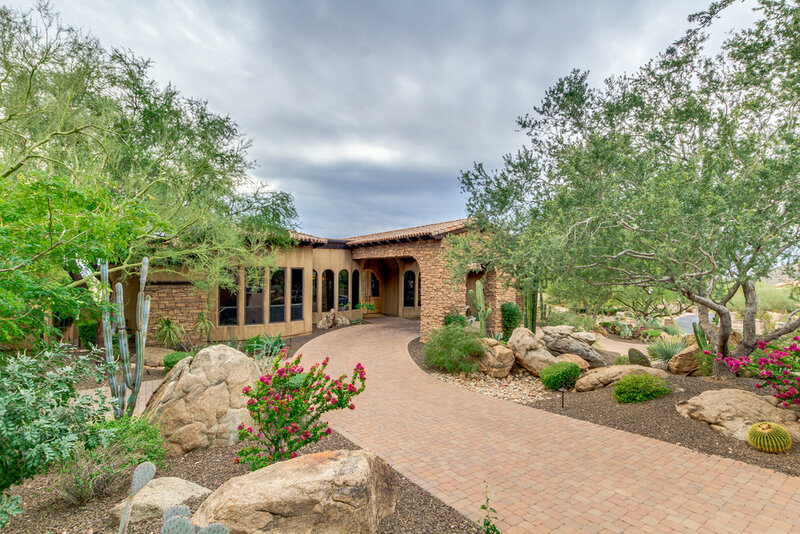 This home lives on the main level with a lower level guest suite, media room, and exercise room. 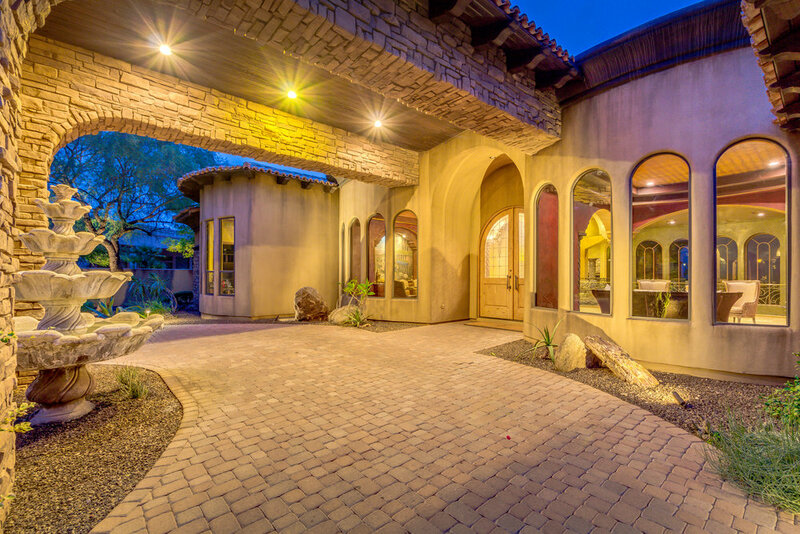 Privately gated motor court takes you to the oversized 3 car-garage. 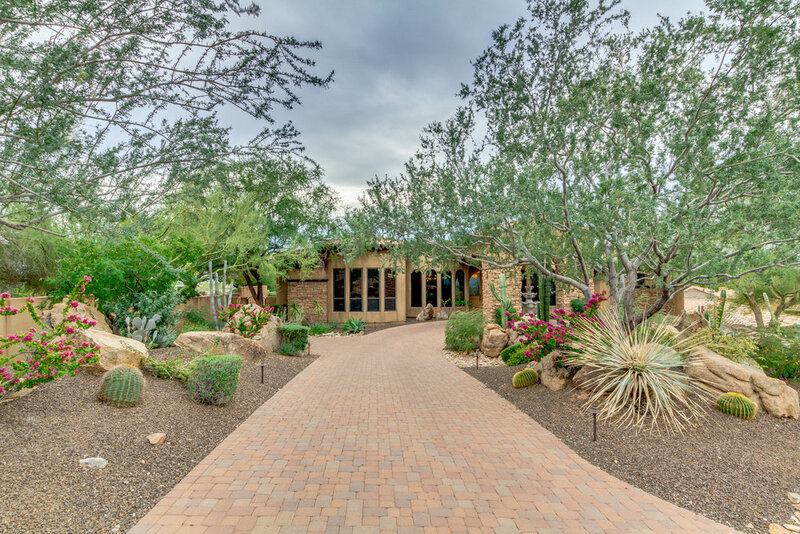 Close to hiking trails and the best schools including Basis Scottsdale and DMHS (Home of the IB program).